Does my app leak memory? Usually, it is quite difficult to tell if the app is leaking — especially that sometimes the leaks are so small that it is virtually impossible to notice. The best approach is to analyze a workflow within your app that you would expect to be memory neutral, i.e., a sequence of steps that should not lead to any new objects being retained. For example, navigating to a new screen and going back to the previous, or adding and removing items from a list are both scenarios that in most cases should not increase memory usage. If such a workflow leads to leaking, you should notice your app’s memory consumption to grow after you repeat it several times. The React Native technology will be a main topic on the App.js conference. The mobile applications market is booming nowadays. There is plenty of development environments that enable creating apps for iOS and Android. One of them is React Native, which allows writing applications that are compatible with both operating systems. Expo is a set of tools and libraries expanding React Native. 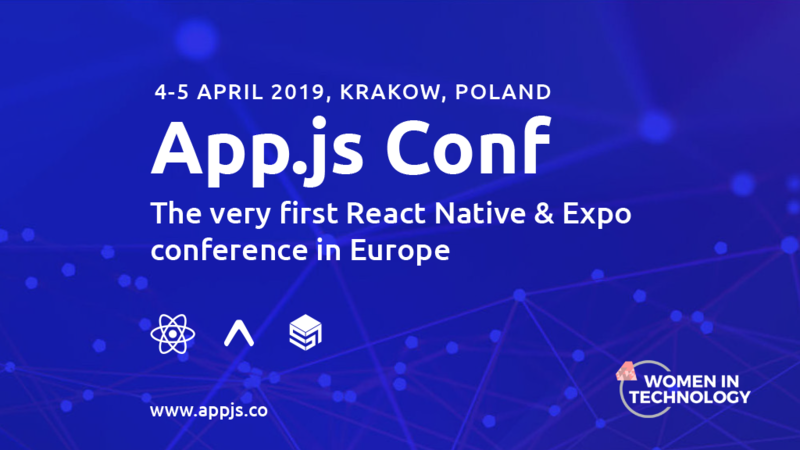 App.js conference is organized by the creators of React Native and Expo as well as active contributors. The conference already got positive feedback from the React Native community. For more go to appjs.co.